Kitchenette was a good size, but microwave sounded like a freight train. Pans were ok. Heating was good. Bathroom was clean. Close to beach. Staff was nice. Located very close to the beach. Close to supermarkets and mini markets. 24 hr reception. English and other language assistance. We arrived at 8:00 am and 10 minutes later our room was prepared for us. The staff was very friendly and helpful. The apartment was clean and we had everything we needed. I went there with my mum, she was very happy. Fantastic place. 2 mins from the beach. Amazing staff who couldn't do enough. Super professional and really friendly.. We didn't have to pay 50 euros deposit either.. Room 402 was absolutely massive.. Modern and clean.. Kitchen had everything we needed. The view was fire escape and rooftops (beautiful old buildings) .. but don't be fooled thinking you've got a duff view... The sun hit our balcony 8am till 10.30 am perfect spot for some private sun bathing. 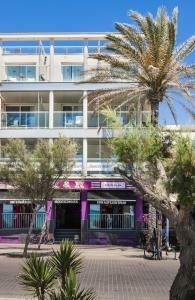 Supermarkets bars restaurants a gym everything you need withing 5 mins walk. . Bargain at 56 euros for 2 nights for 2. Will be booking again. The receptionists were flexible and helpful. We arrived earlier and could check-in. The view to the see is beautiful on that side.Nice area at the sea side. Very late checkin, food availability just around the corner at night, many places nearby for breakfast. 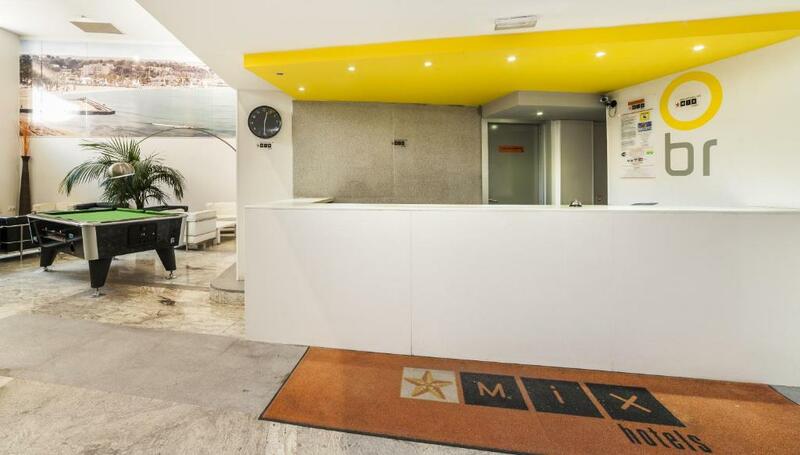 Apartamentos Mix Bahia Real This rating is a reflection of how the property compares to the industry standard when it comes to price, facilities and services available. It's based on a self-evaluation by the property. Use this rating to help choose your stay! One of our best sellers in El Arenal! 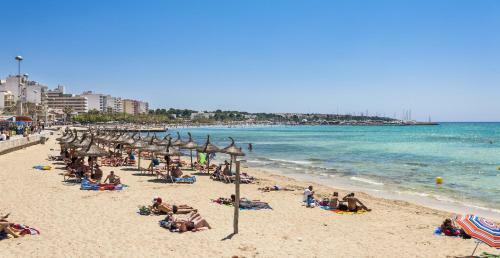 Aparthotel Bahía Real is set next to Playa de Palma Beach. It offers well-equipped, air-conditioned studios with balconies. Each spacious studio has simple, bright décor. All studios are air-conditioned and have central heating. They feature a seating area with satellite TV, and a kitchenette including a fridge, a ceramic hob and microwave. A safety deposit box is also available on request. Guests can make use of the 24-hour reception, where you can arrange car and bicycle rental. Internet access is available in the Bahía’s computer room. The studios are a 5-minute walk from the center of S’Arenal, where there are several shops, bars and restaurants. The city of Palma and its airport can be reached in around 15 minutes, by car. 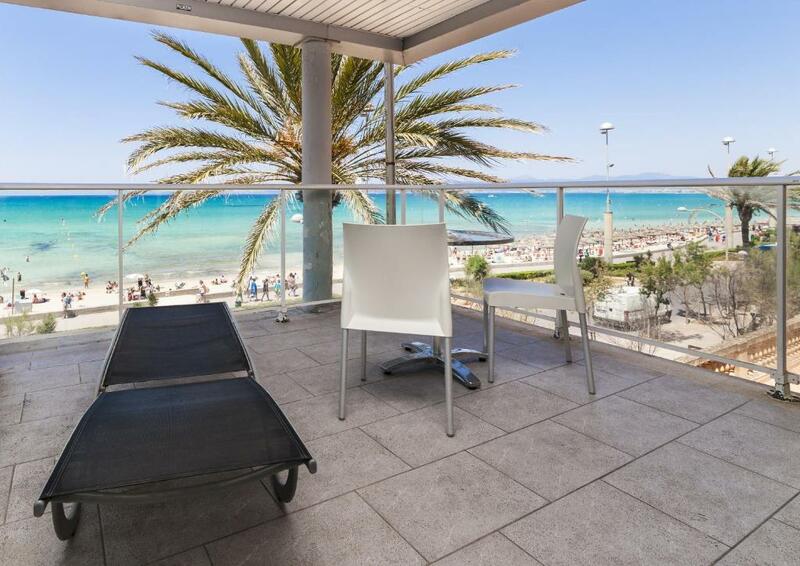 When would you like to stay at Apartamentos Mix Bahia Real? This air-conditioned loft studio features flat-screen satellite TV and a private balcony with a hammock and views of Palma Bay. The kitchenette includes a microwave. This air-conditioned loft studio features flat-screen satellite TV and a private balcony. The kitchenette includes a microwave. 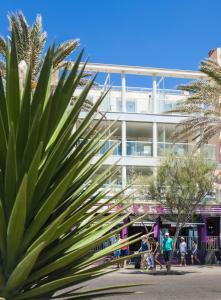 El Aparthotel Mix Bahía Real first line of beach Playa de Palma. 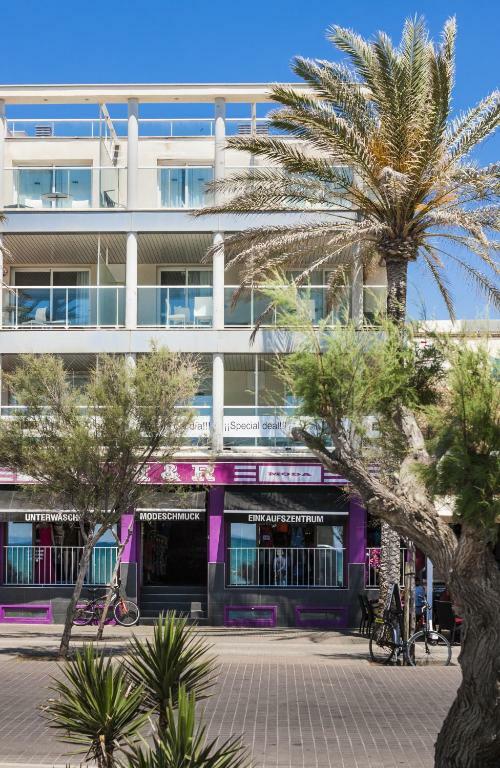 It offers well-equipped, air-conditioned studios with balconie. Each spacious studio has simple, bright décor. Each has a kitchenette and a seating area with cable TV. 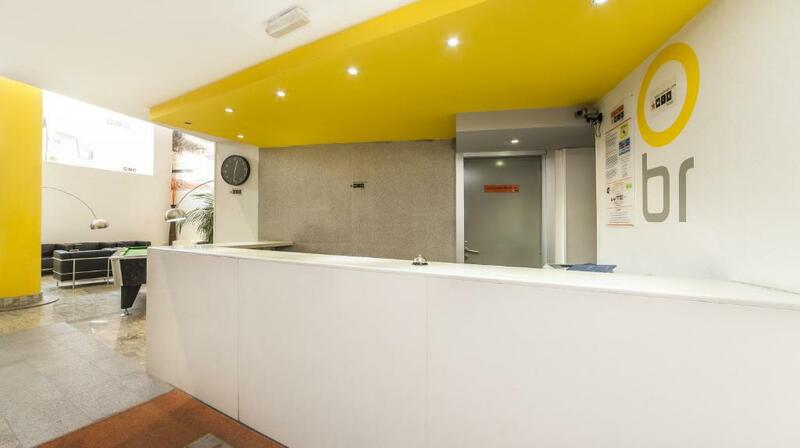 Guests can make use of the 24-hour reception, where you can arrange car and bicycle rental. Internet access is available in the Bahía’s computer room. 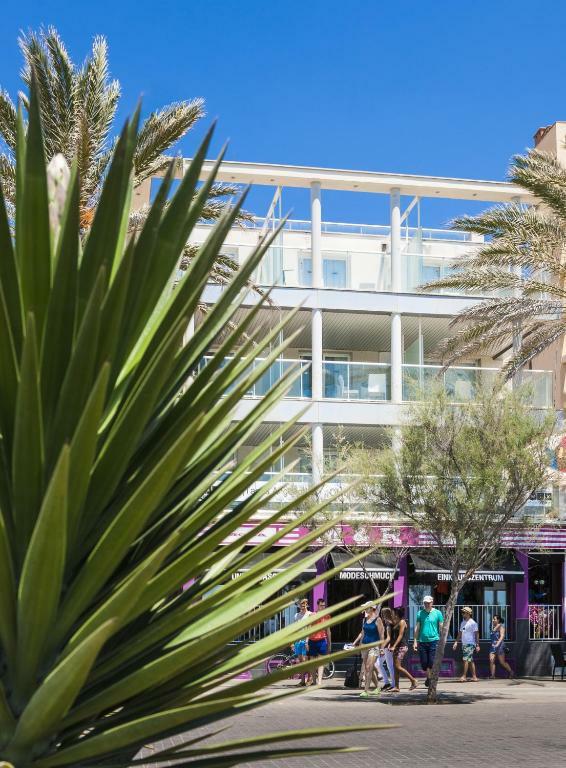 The studios are a 5-minute walk from the centre of S’Arenal, where there are several shops, bars and restaurants. 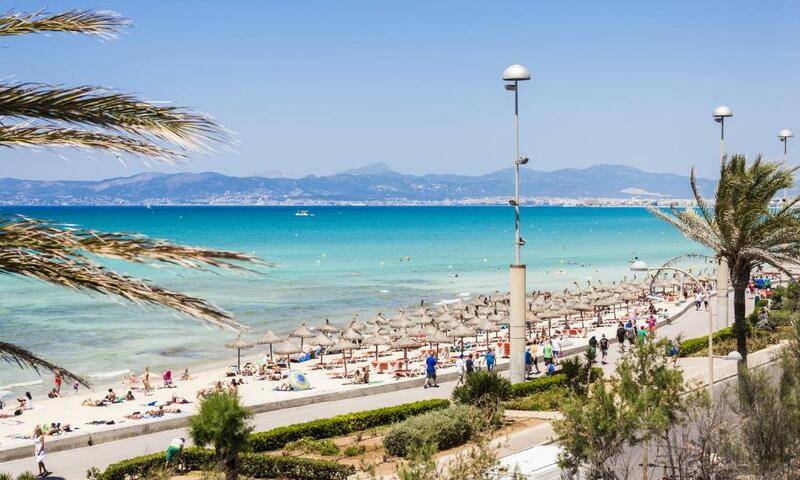 The city of Palma and its airport can be reached in around 10 minutes, by car. 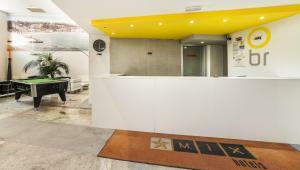 House Rules Apartamentos Mix Bahia Real takes special requests – add in the next step! Apartamentos Mix Bahia Real accepts these cards and reserves the right to temporarily hold an amount prior to arrival. Hairdryers are available upon request. 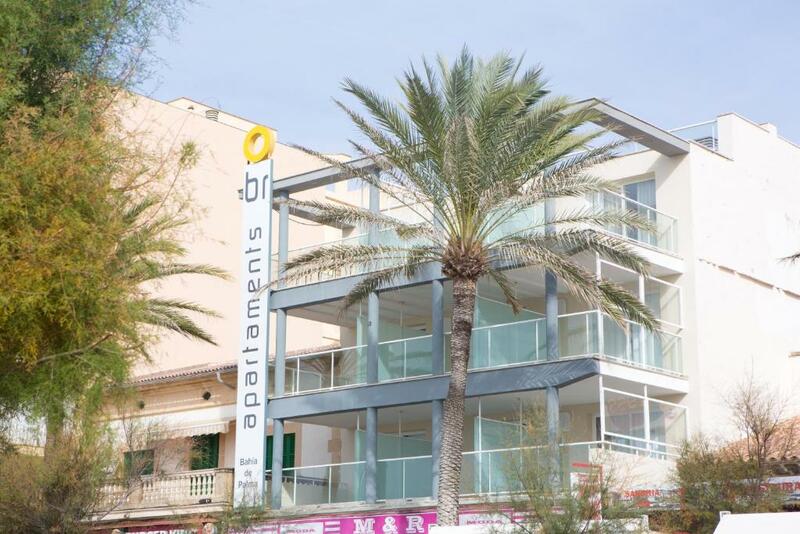 Please inform Apartamentos Mix Bahia Real of your expected arrival time in advance. You can use the Special Requests box when booking, or contact the property directly using the contact details in your confirmation. The road to the entrance to the hotel is narrow and not very clean. May be due to the on-going maintenance work of some of the adjacent buildings. May be Hotel should think of having the entrance from the beach side. Parking is not available as part of the hotel and it is difficult to find a parking spot nearby on the street. Sometimes we spent 15-20 mins driving in circle to find a spot. Wifi is not free. This is very strange as all hotels these days offer free wifi. No telephone in the room to contact reception. Room smelled like smoke, but we were told it was a no smoking room/hotel, however they had ashtrays in the rooms. No freezer in the kitchen. Sofa was terribly uncomfortable. WiFi 45 euro for two people for 1 week. On very ugly, loud street. Busy,noisy location & thin walls and banging doors . Minimal self-catering facilities and poorly stocked. Convenient to sea-front . Not too expensive. Stairs to access building. Assisted lift not independent so unable to use freely. Very nice staff, very helpful! glass wall between toilet and bed ??? no English channels on our T.V. room 301. No electric toaster or kettle. Very sparse on kitchen equipment & utensils but a grill type microwave was installed along with 2 hotplates and a fridge but no freezing section. the sea view from apartment.